Apple Hill Farm, a working farm, offers guided walking tours at 2pm year round. 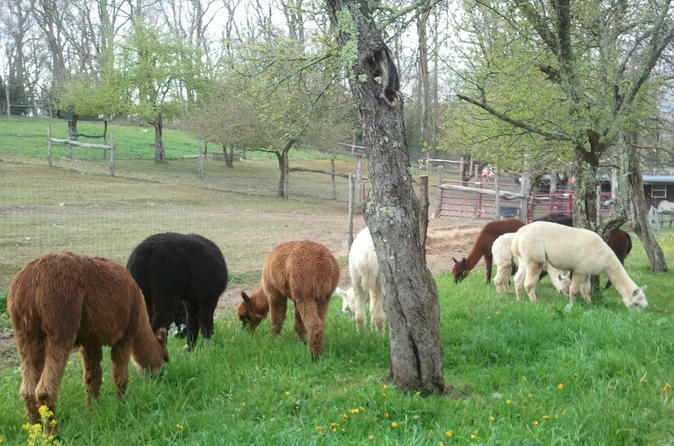 The farm is home to alpacas, angora goats, donkeys and much more. Enjoy magnificent mountain views, wooded footpaths and landscaped gardens which provide the ultimate picturesque setting for Apple Hill Farm's animals and visitors. This guided walking tour of the farm allows you to get up close and personal with the animals that work and play on the farm. Every animal has a specific job and many have a story as well!